Within each of us are four personality types or communication styles. 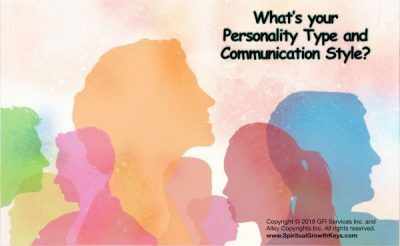 We use these communication styles to connect within, with our inner guidance, angels or guides (you make the word choice), and with the outside world. You have all four of these abilities, but one predominates. This main personality style affects the basics of how you live and communicate. The second, third and fourth communication styles also influence you, but not to the same degree. Knowledge about these personality and communication styles has helped people in their family life, in business and at all levels of schooling, from elementary to university. You can take the quiz below to get a sense of the communication type that is strongest in you. 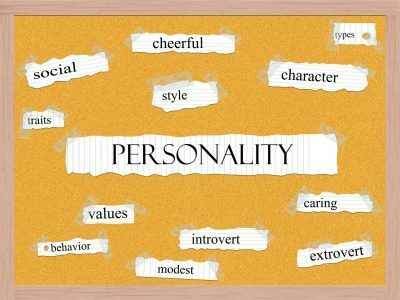 This will help you understand more about your personality and why you express certain traits, strengths and even potential weaknesses to know about and avoid. Factors like your upbringing also affect your personality, but knowing these four personality and communication types will explain much about why you act the way you do and why other people tend to behave in a certain manner. You will understand yourself and others better. You will relate more to people and enjoy greater harmony in your relationships. As you know yourself better, you can be the master of your own ship. When you are more aware of the qualities and tendencies you have, you can take charge of your own life and be the person you truly are within. Each of these four personality types relates to one of the four communication abilities: clairaudience (inner hearing), clairvoyance (inner seeing), clairsentience (feeling) and claircognizance (inner knowing). Each of us uses and can expresses the characteristics and qualities of all four communication styles, but we all have a first or predominate communication style. This highest communication gift or style determines much about how we connect within ourselves and with our angels, guides, God, etc. In deepening your feeling and knowledge of these personality and communication styles, you become more understanding and patient with people. You can also avoid the tendencies that work against you. You become a more balanced individual. The weaknesses of each of these four gifts is highlighted below as “the unbalanced side”. See which of these four personality and communication styles fits best for you. What are your current strengths? Do you relate to any of these weaknesses? Check off the qualities that resonate. Feel free to let us know how this self-assessment worked for you! We love hearing from you and how you find these articles. Strong inner authority. They stick to their viewpoints once they’ve formed them! Now that you have reviewed these personality styles, can you see more readily how you perceive through inner hearing, seeing, knowing and feeling? If you checked off the qualities above that you relate to most, where do you have the most checks? Once you get a feeling for your strongest communication gift, have you noticed how you have used this gift? For example, if you sense you are clairvoyant first, have you seen a picture or running movies in your mind’s eye? If you relate most to clairaudience, have heard a voice from within, etc. Note: People can hear voices from within especially when they are high in the clairaudience ability. In the programs offered on this website, people who are unfolding these inner communication abilities, start by spiritually cleansing to raise their energy. This way, they connect with a clear source of inspiration like the angels or guides and not confusion. As you practice tuning your energy and communicating with your inner guidance, you will know the higher angelic energy and often feel chills. You are welcome to attend an in-depth live presentation (in certain locations) on your four gifts of inner communication and these personality types. Discover how to unfold you inner communication abilities further and connect clearly within your self and with you inner guidance or angels. Estelle Small and Patrick Kilhenny tour in the US, Canada and Europe frequently. You can also do consultations and workshops on-line. A network of certified consultants is also available in various locations in North America and elsewhere. Private consultations to pinpoint the order of your four personality types and communication styles are available. It can help to have a trained, detached person evaluate your communication style and help you go deeper into how these work for you. Once you know your inner communication order, you can learn more about how to use them to help yourself and others and avoid the weaknesses.